WebKit made big news in November after it was revealed that it would become the rendering engine in Google’s Android platform. The announcement came as a surprise to some who assumed that Google’s cozy relationship with the Mozilla foundation would lead them to select the Gecko rendering engine. WebKit however, holds the distinction of already being a well established platform for mobile devices, seeing service on a series of Nokia internet tablets and of course, on the iPhone. Not bad for a browser that was once doomed to die. 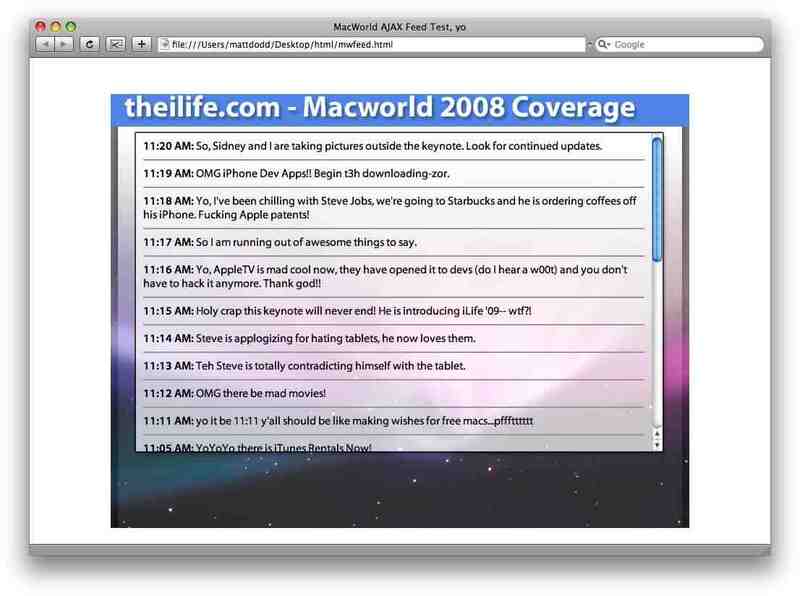 Macworld 2008 – Update II!